Tammy Tkach is a Women’s Ministry Support Coordinator for Grace Communion International Women’s Ministry. She sees encouragement to recognize and use their gifts as the greatest need of the GCI women and feels God has opened the door for her to speak, write and “be there” to fulfill that need. She has written many articles and has been a speaker at women’s conferences and retreats. She was the editor of Connections, a journal for GCI women in ministry until 2018. Tammy and her husband Joseph have been married since 1980 and have two children, Joe III and Stephanie. She enjoys bike riding, walking, gardening and reading. Her main hobby is rubber stamping. Sheila Graham is a Women’s Ministry Support Coordinator for Grace Communion International Women’s Ministry. 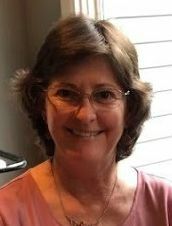 She was a contributing writer for The Plain Truth magazine, with numerous published articles on the environment, the role of women, women of the Bible, the family and other Christian topics. She was the editor/publisher of Christian Women in Touch, a newsletter for Christian women (no longer in publication) and has been a guest speaker at youth groups, women’s clubs and other Christian women’s groups. She was been married to Ed Graham from 1977 to 2016. She is a mother and a grandmother. She lives in Texas. Sheila has a B.A. in Business Management from the University of Phoenix. She completed an M.A. at Azusa Pacific University’s Haggard School of Theology in December of 1997 and has completed part of the work for a doctoral degree. Her other interests include art, photography and horseback riding. A member of Grace Communion International since 1962, she has experienced many changes in the church. She is excited about what God is accomplishing in bringing the church closer to Jesus Christ, and that she is able to have a part in helping women use and develop their spiritual gifts in Christ’s service.